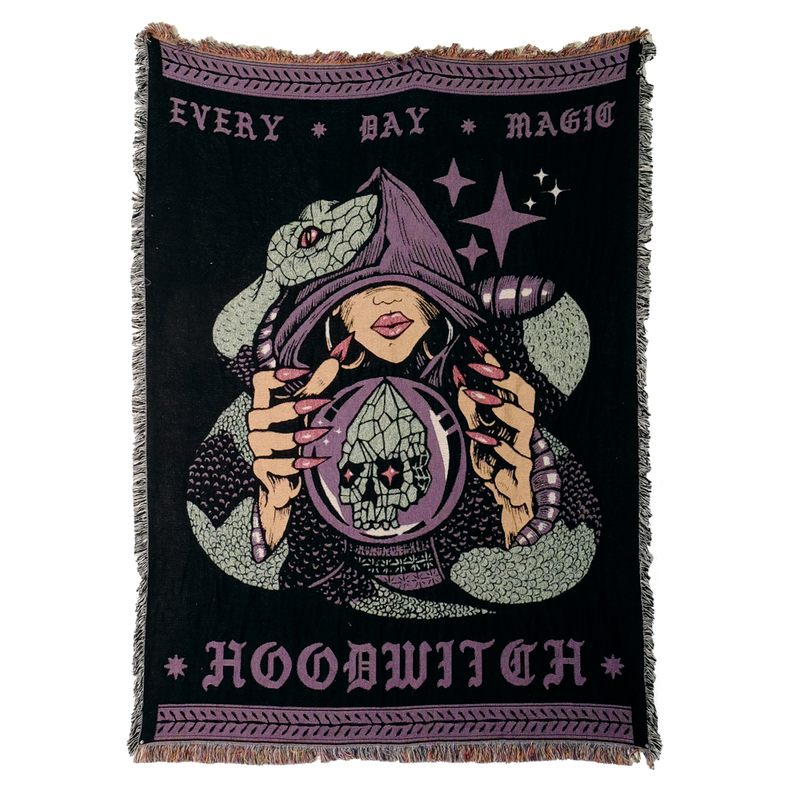 The Hoodwitch collaborated with Illustration wizard Boss Dog to create these beautiful and limited edition woven tapestries to adorn your witch's lair. The illustration showcases Snake as messenger a powerful animal guide, a symbol of transformation and healing. The snake is wisdom expressed through healing. 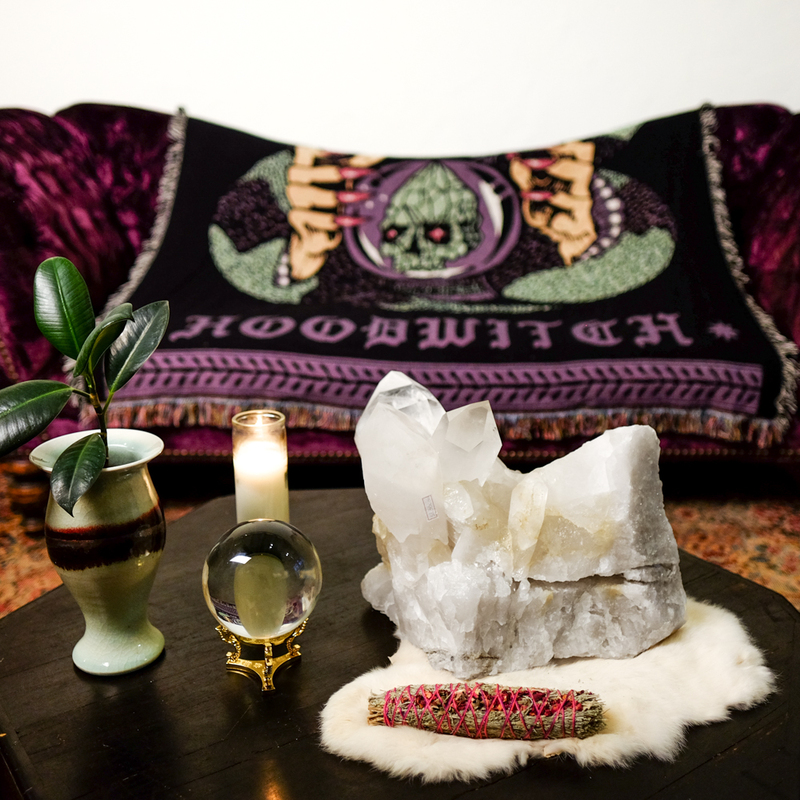 She is the protector and guardian and If snake has come into your life, your creative forces are awakening. Your intuition will strengthen and be more accurate. Snake is ready and waiting to guide you through the spiral path of transformation.